Christmas around the World & Holiday of Lights: This event at the Museum of Science and Industry features 50 trees representing various cultures and holiday traditions. It even includes a 45 foot tall Grand Tree with more than 30,000 lights and 1,000 ornaments! Click here to see the schedule and general information. 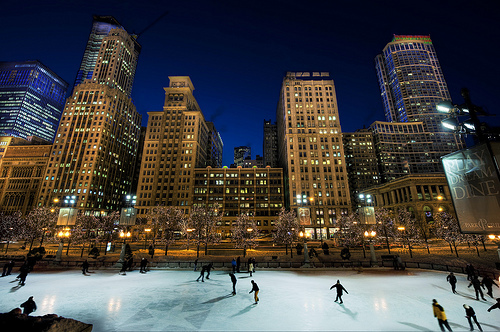 The admission is free and skaters can rent skates for only $10. Visit the city's tourism site for more information. Winter Wonderfest at Navy Pier: This self-described "winter extravaganza" will feature indoor ice skating, rides, an indoor ferris wheel, an extreme ice trail ropes course, a vehicle display, a Reindeer Express Ride, a Winter Wonderfest Junior for small children, and more. Admission is free, but Activity Wristbands will be required for various rides and attractions. Premium wristbands will cost $20; regular wristbands, $16. Click here for more information. 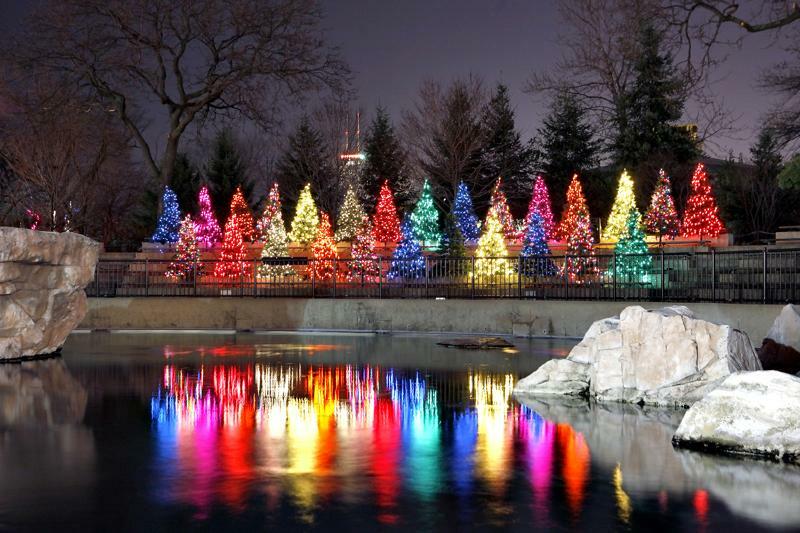 Zoo Lights:Besides a stunning display of lights, this annual family-oriented event will feature holiday crafts and activities, animal encounters, 3D displays, live ice carving, carousel and train rides. Check out the Lincoln Park Zoo's website to read more about this great free admission event.